LPG system for direct injection engines. Advantages. 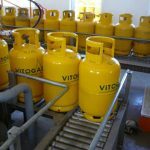 More and more drivers are using LPG as an alternative fuel for their cars, mainly because of the rise in fuel prices and the high levels of air pollution. The trend of shifting from port injection to LPG direct Injection engine cars is strongly upward in Western Europe, but also in Bulgaria. The propane-butane fuel enters the engine in a gaseous state and is easily mixed with the air. The injection evenly fills the engine cylinders with a homogeneous fuel-air mixture that burns almost completely. In a direct injection (DI) engine, the fuel is highly pressurized and injected via a common rail fuel line directly into the combustion chamber of each cylinder. The direct injection of LPG allows for more precise control of the fuel quantity and the cycle time through which it is injected into the cylinder. Thus, for maximum power, the entire amount of fuel in the suction manifold can be injected, while for maximum economy, it is possible to inject less fuel during the compression stroke. 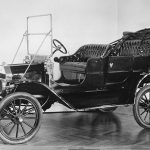 Shifting from port injection to direct injection engines is a growing trend in the automotive industry. 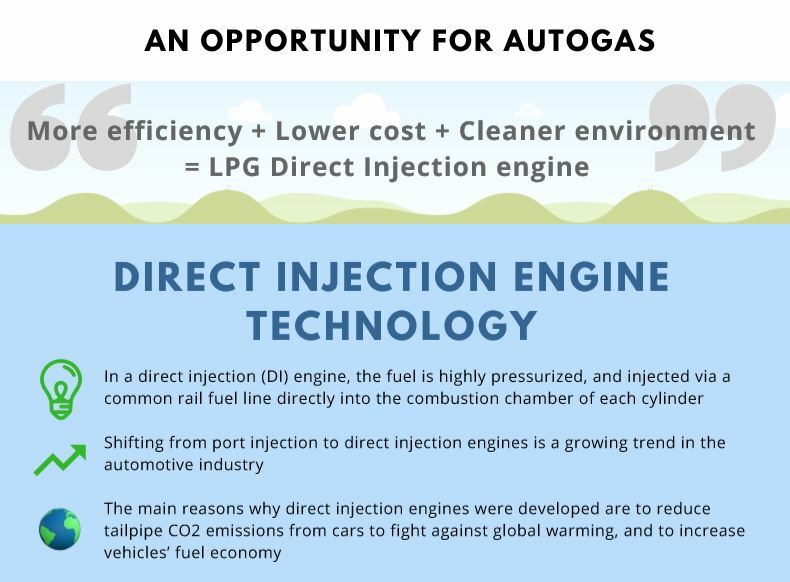 The main reasons why direct injection engines were developed are to reduce tailpipe CO2 emissions from cars to fight against global warming, and to increase vehicles’ fuel economy. According to the statistics of the European LPG Association, over 8 million vehicles in the EU use LPG and the gas stations that offer it in the member states are approximately 31,000. f you have not taken the advantage of direct propane-butane injections now is the time to improve your car’s performance, to drive economically and environmentally.